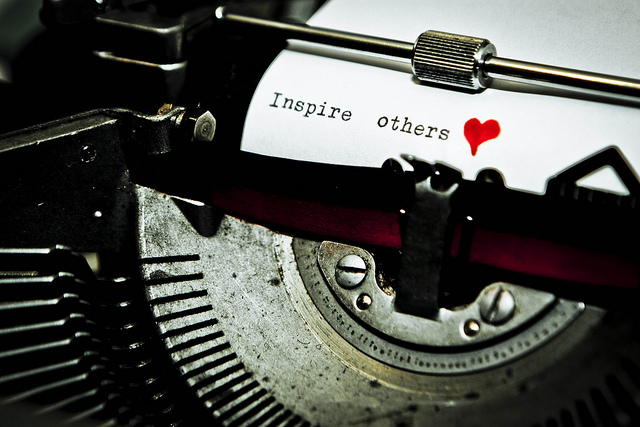 How Do You Inspire…or Not? Our words can inspire others to be their best selves or turn away from being their best selves. How can we be sure that we encourage and inspire others to be their best? NPR was running an interesting story about a scientist working with genes. The reporter explained how the scientist had been interested in science but hadn’t thought about becoming a scientist herself until a woman scientist visited her school. At that moment, the girl decided that she too wanted to have a career in science. It reminded me of a time when I was about 11 and was in an art class. I was enjoying painting and was very happy. My teacher saw my work and told me I would never be an artist. Maybe he didn’t say that, but that is what I remembered. I believed him and put that career choice to one side. It had never been a really serious job option, but I do love art. When I was younger, I thought about architecture, design and fine arts as career choices, but this teacher stopped those thoughts. Silly because why did I trust him more than my own intuition? Silly because if he was really an expert, why wasn’t he giving Picasso a run for his money? Silly because he didn’t even seem to like what he was doing. You may ask how was this similar to the inspirational story of the scientist inspired by the school visitor? Well, just as you can inspire someone to do something, you can uninspire someone to do something different or nothing! As a leader, we have to be mindful of when we are motivating our teams and when we are demotivating them. We have to think about when are we lighting them up and when we are extinguishing their light. And we have to take the responsibility of being a mentor, a coach and a role model seriously. I was excited by how a young person could be put on a career track that they love and which seems to be their life’s purpose. Let's all work on doing that with our teams, our friends and families, and the kids we come into contact with!